Has Western Europe Lost Its Soul? Before beginning, let me set a more personal context. My parents emigrated from the Netherlands to Australia in the late 1950s, so my nationality (or ethnicity) is Dutch, although my citizenship is Australian. To add to these personal connections, my education is in European classical languages, biblical criticism and Western European (and Russian) Marxism. Thus, at many levels I am steeped in the European tradition. Some years ago, a change began in Western Europe. In one country after another, the confidence of the 1990s began to dissipate. With the supposed ‘rolling back’ of communism in Eastern Europe and Russia, many had thought the Western liberal tradition had triumphed. But just as it seemed to do so, it lost confidence. Whereas once such countries welcomed foreigners, now they became suspicious. Stricter controls began to appear on the borders, immigrants and refugees were increasingly seen as threats (to jobs, welfare, culture and so on). The targets are only peoples from the Middle East and North Africa – but also Russia, Eastern Europe and even southern Europe. Old denigrations took on a new currency, border checks became routine, more and more people were rejected. With this gradual closing of the borders – about which much more can be said – came a closing of the mind. True, many Western Europeans have for long held a view of the world that places themselves at the culmination of history. But something has changed. Whereas in the past this attitude may have appeared as a distinct confidence, if not (colonial) arrogance, in more recent years it has evolved into a fearful view of the rest of the world as a threat. Part of the reason – but only part – may be found in the profound geopolitical shifts that have become clear in the last decade or more. The North Atlantic financial crisis of 2008 brought to the fore a process that had been underway for much longer (think of the Reform and Opening Up in China since the late 1970s). Not only did the shakiness of the ‘world order’ that had been established after the Second World War become apparent, but the financial crisis marked most clearly that the centre of global economic and political power was in a process of shifting. We can use the metaphor of a seismic shift, in which the continental plates shift, grinding away until a series of earthquakes and volcanic eruptions make clear what is already underway. Too late has the ‘West’ realised what is at stake. The frantic efforts – for example – by the United States to reassert its splintering hegemony comes far too late. The horse has already bolted, to use another metaphor. But this situation creates a profound sense of unsettlement in many people. Whether they liked the previous order or not, they had become somewhat comfortable. Not now. All the same, these developments may be seen as external factors, however important they might be. Let me now turn to more internal features, of an individual and collective nature. To begin with, one notices a profound lack of purpose in many parts of Western Europe and North America. I think not so much of drive to make short-term profits at the expense of the long-term future, but of the purpose of life itself. Let me give an example from the Netherlands, although it could be replicated again and again. The only remaining sense of life is to ‘live well’. You may ask: what is the problem with this? It all depends on what ‘living well’ means. It comes down to nothing more than eating at expensive restaurants, having a nice home, travelling to selected destinations, and if one is no longer able to ‘live well’, opting for euthanasia. Further, if anyone else in the world who is not able even to find enough food for a day wishes to share a little of this ‘well-lived’ life, then they are rejected and reviled. Perhaps there is indeed an awareness of something amiss. Of late, an increasing number of research projects have begun to dig back into Western European history to identify what is unique about this culture. The history may not be as long as many other parts of the world, but signs of a search have begun. For example, a very large project, funded by the European Council, examines the origins of the idea of ‘privacy’. This is a large team project based at a leading European university, with eye-watering funding and a somewhat new approach that turns on privacy as both a quality and a risk: too little privacy threatens the individual while too much may ruin society. While the project claims to be ‘international’, a careful look at its focus reveals that the term ‘international’ refers to countries in Western Europe, in terms of both its research scope and team. Clearly, the project sees privacy itself as a distinctly Western European discovery, although its agenda is to find a new way to trace the emergence of privacy. While the project risks a Euro-centric view, it also indicates that the very idea of privacy in this framework is specific and culturally determined. In other words, it is part of a European tradition that cannot simply be transposed and imposed elsewhere. Further, the time period under investigation is telling: 1500-1800, precisely when capitalist market economies emerged in Western Europe, liberalism began its long road to dominance and this part of the world emerged from its backwardness to global colonialism. This is when Western Europe as we know it began to take shape not so long ago. With this focus, the project reveals a desire to re-anchor a relatively short cultural tradition that many sense has lost its way. What is it that makes Western Europe unique? Is it worth recovering and, if so, how? In order to do so, a thorough reinvestigation of the role of religion in Western European culture lies at the core of the project. Tellingly, the project may be interdisciplinary to some extent, but it is based in a Faculty of Theology. On this note, let me use another example. In the late 1990s and early 2000s, a number of Western Marxists turned to the Bible and theology to find a new revolutionary model. Their names may be familiar to you: Alain Badiou, Slavoj Zizek, Terry Eagleton – to name only the most well-known – turned or returned to the Christian tradition to find new ways to speak about the revolutionary tradition. The specific contributions may differ in the details, but the underlying claim was the same: Christian theology, and especially the Bible, provides the origins of the idea and practice of revolution. In other words, this is a uniquely European discovery and needs to be reclaimed. Rather than pass judgement on this effort (which is highly problematic), we need to ask why they did so. Here the date of 1989 and the ‘fall of the Berlin Wall’ had a profound effect. We have not yet realized the full impact in Europe of this development, but one feature was the sense of crisis many Western Marxists felt. Although many had already given up on actual socialism further east, the breakup of the Soviet Union led to them to believe that all the old models were no longer workable. So they began to seek out a distinctly Western European model – based on theology. My final example concerns cultural products, such as films, novels and so on. More and more of these products attempt to recover what is distinct about the Western European tradition. For example, a recent German film – called Ich bin dann mal weg, translated as I’ll Be Off, Then – tells the story of a successful comedian who collapses on stage. Aware that something is missing in his unhealthy and pointless life – he drinks too much, smokes heavily and makes much money – he decides to set off on a pilgrimage. His destination is Santiago de Compostela, a distance of some 800 kilometres. He follows one of the ancient routes – known in English as the Way of St James – to the cathedral in the city. Dating from the ninth century, the pilgrimage was popular in the Middle Ages, only to see a gradual decline with the onset of modernity. Tellingly, since the end of the 1980s it has once again grown in popularity (note again the importance of this period). At first, the film’s character is not quite sure why he has undertaken the pilgrimage. He continues to smoke, pays for an expensive hotel, catches a taxi and then a bus in order to avoid walking. Gradually he comes to spend time with a couple of other pilgrims, who learn to help each other. Now he walks, stays in hostels, and begins to ask questions about the meaning of life, if not God. By the time they reach the cathedral in Spain, they have come to an awareness – partial though it might be – of what a full life might actually mean. The examples could be multiplied (The Dutch film Tulipaner is another), but in many ways the film functions as a European allegory. The man in the film stands for a Europe that seems to have lost its way and is searching for a soul. That this search inevitably involves religion – especially in light of the complex intersections between religion and European culture – should not surprise us. Let me examine the implications of this distinct loss of soul. To begin with, looking back can have many functions. Obviously, historical investigation is necessary and important for charting a path into the future. But it can too easily fall into a conservative search for the mythical lost Golden Age – politics in the United States is an excellent example. In the case of Western Europe, it is more about a sense that something has been lost. Whether what is lost is valuable or not is another question. A significant part of this loss concerns religion, for the obvious reason that Western European culture cannot be imagined without religion – as the examples of research projects, cultural products and the work of some Western Marxists indicates. But here we face a paradox: on the one hand, the churches are virtually empty and few see religion as important in their lives; on the other hand, in the face of perceived threats the Christian nature of European culture has been increasingly asserted. I leave aside here the more intriguing suggestions for answering this problem (such as the sinification of religion), for the paradox itself witnesses to my main point. What are the implications? These thoughts were originally part of a paper delivered at a Sinology conference in Beijing. To my surprise, the paper generated much discussion, for it obviously has implications for Sinology, let alone China in the world. Let me identify three implications. The first is negative, with the small club of ‘Western’ nations closing their doors out of fear and rejecting the rest of the world, apart from sporadic efforts at neo-colonialism. The second is more intriguing, for – as was very obvious to these participants – the developments I discussed witness to the distinct nature of the Western European tradition, which must be understood but cannot be transposed to other cultures without serious disruption. Third, are their other models where a purpose is quite clear? The Chinese project, with Marxism at its core, is an obvious candidate. Observers from different backgrounds – from the Vatican through to a small but growing number of Western Marxists – have become aware that Chinese Marxism does provide a clear purpose and goal, if not a soul that has been lost elsewhere. This is not to say that Chinese Marxism should become a new global hegemony, and thus a false universal, but that it can perhaps provide a model for how one might shape such a soul in a new way. The project focuses on eleven case studies deemed important for the development of privacy: Copenhagen, Amsterdam, Dresden, Westminster, La Rochelle, Helmstedt, Chatsworth House, Versailles, Altona, Glasgow and Arc-et-Senans. Clearly, all are in Western Europe. A characteristic feature of European-derived, or North Atlantic approaches to communism is the narrative of betrayal: at some point, a communist revolution was betrayed by someone, betrayed itself, ran into the mud, ‘failed’. I was first struck by this narrative some years ago when I was working intensely on Lenin. And it was inescapable in much of the secondary literature when I was engaging deeply with Stalin. Recently, it has struck me once again while delving into the theory and practice of the socialist state. Let me be clear: the betrayal narrative is one found mostly in European-derived traditions. Although Marxists in these parts are fond of the narrative, it is also common among liberals and conservatives. One can find stray examples other parts of the world too, in the mouths of one or two who have been unduly influenced by this narrative. In what follows, I outline some examples of the narrative, before turning to consider the closely related dimension of pristine origins. If you hold to this type of story, a betrayal can be found almost everywhere you look. The initial example is that Engels betrayed Marx. Being of lesser intellect and not adequately trained – or so the story goes – Engels did not understand Marx. So Engels ‘glossed’ and ‘distorted’ what Marx said, especially in work that he produced on his own or after Marx’s death. It may have been Engels’s immense efforts in editing the second and third volumes of Capital, or his Dialectics of Nature (1873-82) and Anti-Dühring (1877-78) from which Socialism: Utopian and Scientific (1880) was drawn. Thus, the editing efforts botched Marx’s work, while the effort to extend dialectical materialism into the natural sciences was fatally flawed. Given the profound influence of Anti-Dühring on the subsequent tradition – every Marxist of the second and third generations studied this text closely – that tradition was impossibly betrayed at the hand of Engels. It is relatively easy to refute this narrative, but this is not my task here. Lenin’s putative betrayal is more contested ground, with some seeing Lenin as a purveyor of distorted Marxism from the beginning, others that Lenin betrayed the revolution after October 1917, or that Stalin was responsible for the betrayal. But what is meant by ‘betrayal’ in this case? Let me take the example of Lenin’s betrayal of himself, for this is consistent with the role of Stalin in this case. According to this story, Lenin held to some form of ‘democratic’ position, envisaging the soviets as versions of the Paris commune. The model may have been updated and reshaped a little in light of circumstances, but it held to ‘democratic participation’ by workers and peasants at local and national levels, open and free-wheeling debate within the communist party, and would form the basis of socialism after the revolution. However, what happened very rapidly was an authoritarian move, hollowing out the soviets in the name of the dictatorship of the proletariat, if not replacing the proletarian dictatorship with the dictatorship of the party. In short, Lenin moved from a ‘democratic’ commune model to an authoritarian approach. Stalin merely carried this through to its logical conclusion. The examples could be multiplied: economically, ‘state capitalism’ was gradually introduced, a global revolution was abandoned for the sake of socialism in one country, the ‘withering away of the state’ was replaced with an authoritarian state characterised by the secret police, the self-determination of minority nationalities turned into their forced assimilation, and so on. The only difference is where one draws the line, whether within Lenin’s own thought and practice or between Lenin and Stalin. The latter is, of course, the one who began to be systematically demonised not long after he died. These days, I am most interested in the way a betrayal narrative has been constructed and is now assumed by many in the case of Chinese socialism. I am less interested in the hypothesis that Mao betrayed Marxism himself, whether because he took over unreconstructed Soviet Marxism of the 1930s or whether he did so of his own initiative. I am more interested in how the betrayal narrative has been deployed by self-confessed ‘Maoists’ and how this has influenced a wider misperception from conservatives to radicals. According to this version, Mao was indeed a true communist, developing a breath-taking version adapted for Chinese conditions. The culmination of Mao’s vision was the ‘Great Cultural Revolution’ in the late 1960s and early 1970s. Here was full collectivisation, public property, equality in pay and even clothes, idealism, the beginnings of socialist culture …. However, waiting in the wings was Deng Xiaoping, the ‘capitalist roader’. Rising high, deposed, then returning on Mao’s death and dispensing with the ‘Gang of Four’, Deng began – so it is asserted – the process of turning China from a socialist country into a capitalist one. All of this is embodied in the ‘reform and opening up’ from 1979. And Deng began the process of using coded language to indicate the shift: ‘socialism with Chinese characteristics’ was and is a code for rampant capitalism; a ‘socialist market economy’ does equal service; ‘core socialist values’ means liberalism. All this was extremely clever, it is suggested, since the CPC could not give up on the rhetoric of Marxism, so it emptied Marxism of any meaning (perhaps replacing it with nationalism. The purpose: to keep the CPC firmly in power. This story continues: subsequent presidents – Jiang Zemin and Hu Jintao – played the same game. Now we find the destruction of the ‘iron rice bowl’ (Chinese welfare state), the rise of a ‘middle class’, the ‘suppression’ of the working class – all with a nod and wink while speaking of Marxism. And Xi Jinping has produced his own collection of terms: the ‘Chinese Dream’, the ‘two centenary goals’ and revitalised the term ‘moderately prosperous’ society, all the while clamping down on ‘dissent’ and ‘freedom of speech’ to enhance his hold on power. A communist party has – according to this spectacular story – enabled the transition not from capitalism to socialism, but from socialism to capitalism. The pieces of this narrative have been laid carefully for two or three decades, trading on half-truths, wilful ignorance and sheer twisting of the facts. Apart from the fact that it faces enormous difficulties in understanding the role of Marxism in Chinese socialism, all the way from culture and education, through society and politics, to economics, it usually entails a pre-judgement that means one does not even need to bother with Marxism as such in China. After all, no-one ‘believes’ in it anymore, do they? As a final sample of this narrative of betrayal, let me return to Marx. In this case, it is the younger humanistic Marx who betrays the older scientific one. How so? It begins with the late publication of some key materials from the young Marx, such as ‘Contribution to the Critique of Hegel’s Philosophy of Law’ in 1927, ‘Economic and Philosophic Manuscripts’ in 1932, and The German Ideology, co-authored with Engels, in 1932. Here is a younger, more ‘humanistic’ Marx, which led and continues to lead some to emphasise this dimension of his thought as a counter to ‘Scientific Socialism’ (whether of the Soviet Union or in other forms). In response, Althusser in particular has argued that this earlier material – published later – was not the true Marx, who is to be found in his later, scientific works. This would have to be the most intriguing betrayal narrative of all, since it operates in reverse. As I have already indicated, I focus here neither on how these specific accounts face immense hurdles on closer scrutiny, nor the motivation for them, but on the nature of the narrative of betrayal itself. Two points are relevant. 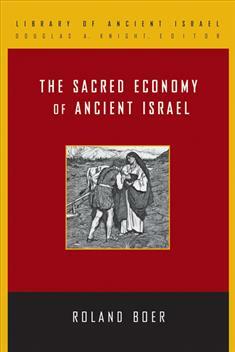 First, the story has profound resonances with the biblical story of the ‘Fall’ of Adam and Eve in Genesis 3. Here a ‘paradise’ – if somewhat flawed due to the forbidden tree(s) – is lost due to the wilful disobedience of the first human beings. Initially, it was a southwest Asian story that has overlaps with others from the same part of the world, such as the Epic of Gilgamesh, but it eventually became a crucial story in European culture. The story in its biblical form has a distinct political setting, providing the eventual justification for a form of governance (monarchy) and control of wayward human beings (Thomas Hobbes comes to mind as an influential later version of this account). But it has come to be seen in much wider terms, speaking of the human condition, characterised by a mythical account of disobedience, sin and betrayal of an original ideal impulse. In this form, it became part of the wider foundations for European-derived cultures, shaping cultural assumptions, the nature of thought processes, if not historical reconstructions even of the modern variety. Thus, the narrative of Genesis, European assumptions concerning human nature, the way history is so often reconstructed, as well as narratives concerning Marxism seem to have a remarkably similar pattern. Second and related, the account of betrayal trades on a notion of pristine origins. Time and again, I have found that a purveyor of one or another version of the story assumes a distinct idea of what socialism should be (never what actually exists). They base this idea on some texts of Marx. I write ‘some’ deliberately, for the texts selected form a ‘canon within the canon’: favoured texts that are meant to express the core of Marx’s position. Thus, socialism (which Marx did not distinguish from communism) appears in the Paris commune, concerning which Marx waxed lyrical in ‘The Civil War in France’ (1871). Here workers devolved the functions of parliament, army, police and judiciary to workers’ bodies that were directly elected and subject to recall. The commune was decentralised, removed repression and did away with the ‘state’. Or one may invoke parts of ‘Critique of the Gotha Programme’, especially in the higher stage of communism, when economic exploitation is removed, classes disappear, even divisions between town and country, if not between mental and physical labour, so that the biblically-derived communist slogan applies: ‘from each according to ability, to each according to need’. Once you have these original and authentic definitions of socialism and/or communism, you can make an easy connection with a betrayal narrative. Before a revolution, or perhaps for a while afterwards, the revolutionaries held to the ideal – think of Lenin in particular, but also Mao. But soon enough, they gave up on the ideal. It may have been force of circumstances, or a turn in the face of imminent failure, or simply a weakness of will. And if Lenin or Mao did not do so themselves, then Stalin or Deng were responsible for overturning the socialist ideal and destroying it. The outcome: socialism has never been realised as yet, for the true moment still awaits us. The problem here is that one can find justification for a number of positions in the texts, for these texts are not uniform. So one has to choose some texts, downgrade or ignore the others that contradict one’s choice and then criticise those who latch onto precisely these downgraded texts. The history of Christianity reveals this process again and again. A group or a spokesperson emerges, argues that the institution as it exists has betrayed and sullied the original impulse, and begins a process of reform in the name of an authentic and original ideal based on a selection of texts. Sometimes, these movements were contained and channelled within the institution (think of the medieval orders in the Roman Catholic Church or monastic renewal in the Eastern Orthodox Church). At other times, they were brutally repressed and crushed, as many a radical religious movement in the European Middle Ages. And at other times, due to wider cultural, social and economic shifts, the reform effort became a whole new and enduring movement. The Protestant Reformation is the most notable example. The analogies with European-derived Marxism should be obvious, if not the struggles between the varieties of socialist, communist and anarchist movements today (as Engels already noted in his ‘On the History of Early Christianity’ from 1895). But we can find it also among non-Marxists and even anti-Marxists. They too assume a certain definition of an ideal socialism, usually based on the very same texts used by Marxists, and then use those to dismiss the actual efforts to construct socialism. I have focused on European-derived, or ‘Western’ Marxism due to its preference for betrayal narratives and ideas of pristine origins. It can also be found in Russian Marxism, given the comparable cultural dynamics of that part of the world (think of the long-running struggle between Stalin and Trotsky and what their names have come to signify). Are there alternative approaches that may well do better than the one I have been analysing? Recently, I was having one of my many discussions with a Chinese comrade and we came to the topic in question. In fact, these reflections arose in part from that discussion. She is fully aware of the narrative of betrayal, having devoted much of her working life to studying ‘Western’ Marxism. But she also admitted to not understanding it; or rather, she finds it difficult to understand how it can make sense of actual tradition. Instead, she prefers a process of clarification of previously obscure or unresolved points in each subsequent development. Is that a more Chinese approach? I wondered. Yes, it is, she affirmed. How do mistakes arise, or is every statement a clarification? Mistakes do arise, such as when there is an effort to turn back the clock, to reassert an older and more obscure position that has subsequently been clarified. Or perhaps if someone moves to undermine and dispense with Marxism itself. I am still working out the implications of this clarifying approach, particularly if it can also incorporate the following possibilities. One is to argue for interpretation in the spirit, rather than the letter of Marxism. Or: instead of invoking the letter of the original text and judging all in its light, one sees Marxism as a method for dealing with every new situation. As Lenin, Stalin and Mao were fond of saying, Marxism is not a dogma, but a guide to action. The other approach is related but takes a different approach. Changing historical circumstances produce new problems that must be analysed and solved in new ways. These problems did not face Marx or Engels, while other problems did not face subsequent leaders. The circumstances have been and are many, ranging from unforeseen economic problems, through the development of policies in relation to minority nationalities, to what a socialist culture might actually be. Perhaps the two main changes in circumstances turn on the question of power. Marx and Engels were never in a position to exercise power after a successful communist revolution (as they well knew), so most of the developments in relation to socialism in power had to deal with issues that they simply had not experienced and could not foresee. And none of the previous experiences of socialism in power has prepared us for the moment when China becomes not merely the most powerful socialist country in human history (it already is), but the most powerful economic, political and cultural force in the world. Or ‘Western’, but this term is loose and impossible-to-pin-down. Chinese has an ideal term, meiou, using the first character for the USA (meiguo) and for Europe (ouzhou), but this is impossible to render into English, except perhaps as ‘Euro-American’. Even this term loses the specificity of the USA and replaces it with a term for the two continents of South and North America. 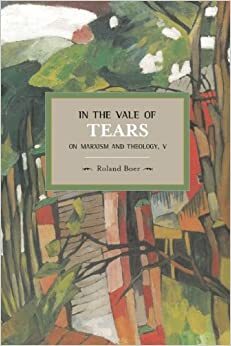 See especially Roland Boer, “Before October: The Unbearable Romanticism of Western Marxism,” Monthly Review Magazine(2011), http://mrzine.monthlyreview.org/2011/boer081011.html; Roland Boer, “The ‘Failure’ of Communism: A ‘Fall’ Narrative,” Philosophers for Change(2014), http://philosophersforchange.org/2014/10/28/the-failure-of-communism-a-fall-narrative. 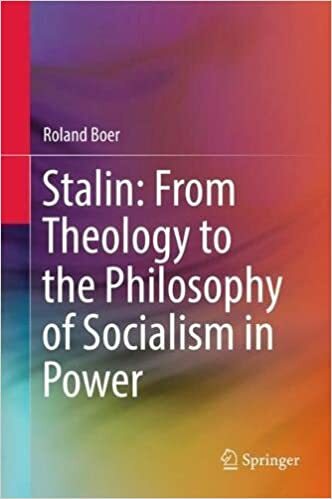 Roland Boer, Stalin: From Theology to the Philosophy of Socialism in Power (Beijing: Springer, 2017). Domenico Losurdo, Stalin: Storia e critica di una leggenda nera (Rome: Carocci editore, 2008). This search for origins can also be manifested in the whole dynamic of ‘revisionism’ in Marxism itself (I have heard the charge levelled at someone only recently and with some vigour). Recently published is a new book by the stakhanovite, Domenico Losurdo, called: Western Marxism: How It Was Born, How It Died and How It Can Rise Again. Western Marxism was afflicted by a sort of myopia: it didn’t realize that the wind of the revolution was blowing from Russia to China and the Third World, joining with the national revolutions against Western imperialism. There was a time when Marxism was an obligatory point of reference for any philosophical and political debate: those years saw the biggest victories for ‘Western Marxism’, which presented itself in stark contrast to its Eastern counterpart, accused of being a state ideology that propped up ‘Socialist’ regimes in Eastern Europe and Asia. Although at first the October revolution was viewed with hope, 20th century Communism contributed to the disintegration of the global colonial complex rather than creating a radically new social system. An extraordinary result that Western Marxism failed adequately to understand or appreciate. Hence its crisis and collapse. If it is to be revived, it must examine the anticolonial revolution and answer three key questions: What has the global anticolonial uprising meant in terms of freedom and emancipation? How is the clash between colonialism and anticolonialism played out today? What relationship was there between the anticolonial and anticapitalist struggles? Losurdo puts these questions to the great authors of the 20th century – Bloch, Lukács, Adorno and Foucault – and of today – Agamben, Badiou and Žižek – in a heated debate that combines historical reconstruction and philosophical enquiry. Exactly! For it was the Soviet Union that developed a thoroughly anti-colonial policy (arising from its ‘affirmation action’ nationalities policy). This policy enabled arms, personnel and know-how to support most of the anti-colonial struggles of the twentieth century as part of the global undermining of imperialist capitalism. Indeed, what is now called ‘post-colonialism’ could not have arisen – temporally and theoretically – without the anti-colonial theory and practice developed in the Soviet Union (especially by you-know-who).